McDermott & Bull Leading Director of Talent Selection Search for BJ’s Restaurants, Inc.
IRVINE, California, August 16, 2017 – McDermott & Bull, one of the largest executive search firms within the Hunt Scanlon Top 50 Recruiters list, as well as one of Forbes’ Best Executive Recruiting Firms, has been retained by BJ’s Restaurants, Inc. to lead their search for a Director of Talent Selection. This executive recruiting engagement is being conducted by the fit Practice at McDermott & Bull, which includes Jeff Black, Partner; Jason Pinegar, Associate Principal Consultant; Trey Mullen, Associate Consultant; and Kelly Nguyen, Executive Search Associate; as well as Brandon Biegenzahn, President of McDermott & Bull. The Director, Talent Selection reports directly to the EVP of Operations and plays an immensely critical role in the BJ’s organization. The successful candidate will own the Company’s talent selection process and be a champion of BJ’s culture and entrepreneurial mindset. This position will be responsible for developing an overall strategy for the talent selection team while identifying new talent and driving continuous improvement to decrease the time it takes to fill open roles. The Director, Talent Selection will mentor and develop the talent selection team and provide clear direction and ongoing support. BJ’s Restaurants, Inc. (NASDAQ: BJRI), the operator of 194 restaurants, located in 24 states, is a leader in the “casual dining” segment of the restaurant industry. BJ’s first opened its doors in Orange County, California in 1978 featuring Chicago style deep-dish pizza with a California twist. The BJ’s concept and business has evolved from its beginnings as a small pizzeria to full service, high energy casual dining restaurants. 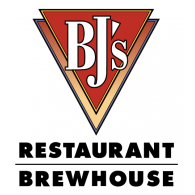 With a focus on their guests, BJ’s has continued to refine their brewhouse experience to make BJ’s a place where guests can make the most of any meal. They pride themselves on their award-winning handcrafted beer, world renowned desserts, and a Southern California twist on their Chicago-style pizza. BJ’s believes they have crafted more than just a brand. They have created a mindset. Putting their guest first, they are continually striving to make every moment count or in their words “Good times better”.